As long as you are able to get the right renters and arrange a lease agreement that protects your best interest, investing in the Denver real estate market can be profitable. To ensure that your investment remains rewarding, you need to make sure that you adhere to the landlord-tenant relation regulations set in the city and state where you are investing. Violating Denver’s rental laws that govern landlord-tenant relations can be costly and messy, possibly leading to legal actions. For this reason, it is absolutely important for all Denver landlords to make sure that they have a well-drafted lease agreement that encompasses the following critical details. Both parties, the landlord and the tenant bound by the agreement, are one of the key aspects of the lease agreement. It is important that you include the full legal names and addresses of all the renters of the unit. It would also be beneficial to include the renters’ registration details such as Passport, Social Security number, or Driver’s License, if available. A description of the rented Denver property should be laid out in a clear manner. Details such as the physical location, address, street, and the unit number of the property should be indicated. Providing accurate details of the property will help avert any confusion or misinterpretations that could escalate to legal disputes. The date when the lease agreement starts and when it ends must be clearly indicated. This sets the limits of the duration or term of the lease agreement. Rental agreements may be yearly, quarterly, monthly or, for vacation units, may even be weekly. The minimum duration for long-term rentals in Denver is seven months. 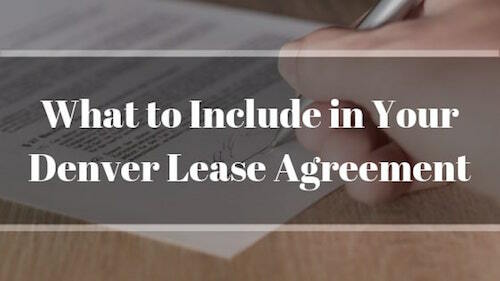 In addition, it is important for you to indicate the requirements that both parties should execute when the lease agreement expires. For example, if the renters immediately vacate the property, the terms for lease extension or terms for arranging new rent agreement under a monthly tenancy agreement. The lease agreement protects the landlord in the event the tenant defaults or chooses to drop out of the lease or end their rental agreement early. The primary reason why you invested in Denver rental property is to generate income from rental payments. For this reason, it is important for you to ensure that the lease/rental agreement indicates this information. Indicate the exact amount of rent that you will charge the tenant for occupying the property. Likewise, you need to include the date when the rent is due, and how the tenant should settle their payments. It is important to indicate if they need to use a check, money orders or cash when paying their rental fees. Additionally, you need to describe the consequences if the renter is delinquent in paying their rental fees, prorated rent, and returned checks. It would also be helpful if you clearly indicate if late payment will lead to fines or penalties. Being the landlord, it is important for you to protect yourself and your property from any unanticipated losses and expenses. Things that can occur include unpaid rent or utility bills, or even damages to the property. A sure way to do this is to request the tenant to pay a security deposit. You may ask whatever amount you wish for; however, it is recommended to be reasonable as guided by state statutes. The agreement should define the amount of the security deposit, and specific requirements of the Colorado statutes pertaining to landlord and tenant laws. Before the renter moves in, it is imperative that both you and the renter record the condition of your Denver property. This way you have sufficient documentation of the state of your property before they move in. And it outlines the condition at which the property should be at when they vacate it. You may compose a move-in checklist that outlines the condition or even take photographs of the property. Additionally, you must clearly indicate in the lease agreement the consequences if there is damage to the property. A landlord has the freedom to inspect your Denver property to ensure that it is in good condition. For this reason, indicate in the Denver lease agreement that you will need to inspect the property from time to time. It is best to refer to Colorado landlord-tenant laws regarding proper noticing requirements prior to inspecting your property. This will save you getting yourself into trouble. As Colorado’s landlord-tenant laws indicate, the property must be maintained by the landlord to ensure that it remains in a habitable status. This means that the property owner is responsible for preserving and improving the rental. Nevertheless, this does not imply that the renter does not hold any responsibility for the property. Clarifying in the lease agreement the obligations of the renter and the landlord in terms of property maintenance and repairs is critical. It helps to avoid future conflicts brought about by miscommunication or misunderstanding the regulations that apply. 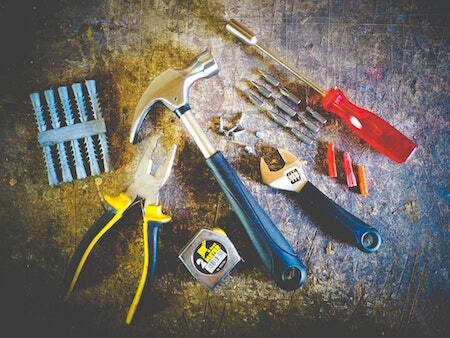 For example, the landlord can be responsible for the regular maintenance of the property’s systems and structure while the renter should be responsible for keeping the property clean and repairing any damage caused by them or their guests. It is common for landlords to find renters using the property in a way that they do not accept. For example, a renter could be hosting a number of people exceeding the number that you would allow. They could also have pets that you do not approve of, or run a business or even conduct illegal activities within the property. If you prefer to evade the problems brought by these, it would be helpful for you to specify it in the lease or rental agreement. Be specific about the number of occupants allowed, the type of pets that you will allow, and the types of activities that can take place. Having a long-term landlord-tenant relationship is ideal, however, it doesn’t always happen. There may be occurrences amid the contract period which may trigger a party to end the relationship. 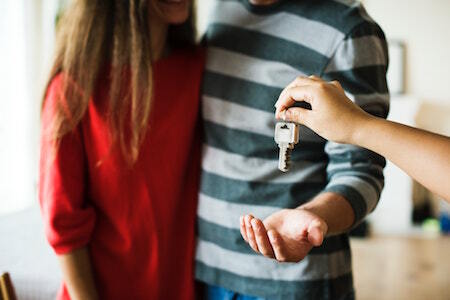 For this reason, it is wise for you to outline the conditions that can warrant the end of a lease agreement, the means for either party to terminate the relationship, and the steps that either party must take in such a case. Similarly, it is critical to indicate the required notice that either party must provide to terminate the agreement. The items that we mentioned may not include all of the details that you need to indicate in an agreement. However, these are some of the top concerns essential to the lease/rental agreement for your property in Denver. A good lease agreement can spare you from potential problems in the future. If you own a rental property in Denver, get in touch with us today and we’d be more than happy to assist and provide you guidance in managing your investment!